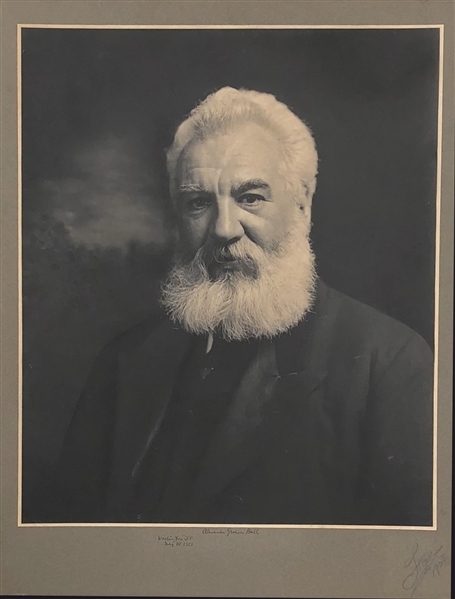 This unique signed Photographic image of Alexander Graham Bell is on a mount of 22"x28". The image size 20"x23" and is amazing Photogravure of Bell looking straight at you with a piercing look. 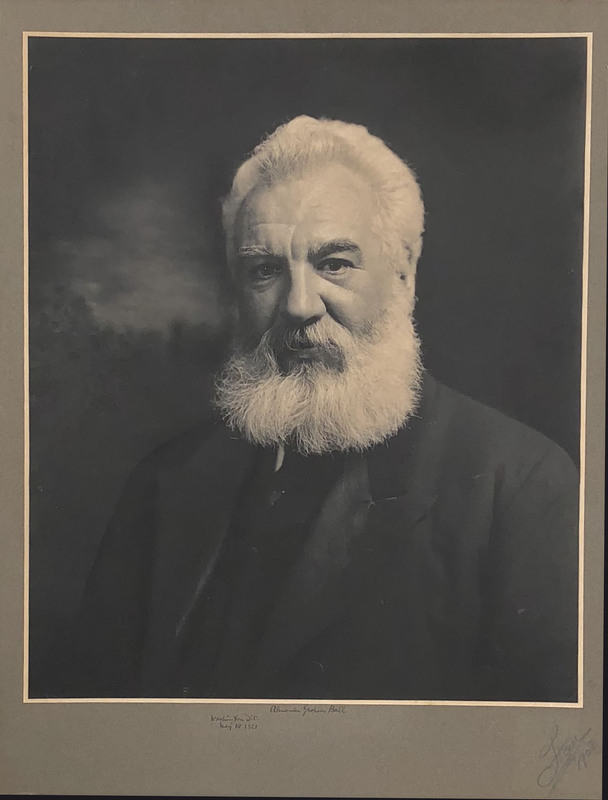 This amazing image is signed beneath his portrait in a large Fountain pen signature"Washington DC, May 18, 1921 Alexander Graham Bell", it is also signed by the artist who made the photo in pencil on the right side. In fine condition, A distinguished One of A Kind portrait of the telephone's inventor. Bell is scarce in signed photos and we could locate no other photo of this size which has sold in the last 30 years.